Hurricane Maria is estimated to have caused insurance and reinsurance industry losses of between $40 billion and $85 billion after its devastating passage through the Caribbean, according to AIR Worldwide, which is considerably higher than the market had been expecting. The insurance and reinsurance market had been expecting a hurricane Maria impact of closer to $15 billion to $20 billion, after economic losses had been provisionally estimated at up to $50 billion. 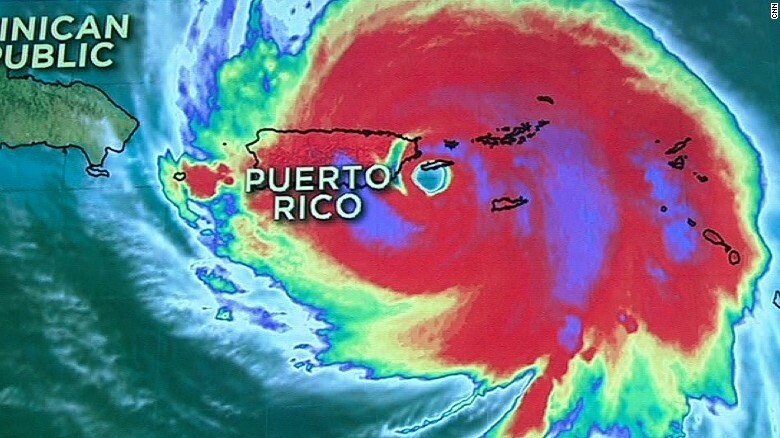 But the estimate from catastrophe risk modeller AIR Worldwide is significantly higher than the market anticipated and if accurate it could put hurricane Maria as the most costly hurricane to the re/insurance industry this year. Puerto Rico, which has been particularly badly impacted by hurricane Maria, is though to account for as much as 85% of the total insurance industry loss, which could be $34 billion to $72 billion. At this level of losses the reinsurance market will be taking a significant proportion of the eventual industry loss, with insurers operating in the Caribbean tending to utilise more reinsurance coverage. It could mean more of the loss falls to traditional reinsurance than to collateralised or ILS coverage as well, as the major global reinsurers tend to dominate programs in the region. But there is industry exposure for ILS fund managers and other collateralised reinsurance vehicles, particularly on the retrocession side and through reinsurer owned sidecar vehicles, as well as some private ILS. There are catastrophe bonds which include Puerto Rico hurricanes as a covered peril, with one aggregate Kilimanjaro Re cat bond from Everest Re including the island in its coverage. Otherwise, most of the Puerto Rico exposure to cat bonds falls within two AIG sponsored Tradewynd cat bonds, although the expected loss level of exposure to the island in these deals is very small. Added to hurricane Harvey and hurricane Irma, the addition of hurricane Maria all but ensures the hurricane season will be a $100 billion+ loss for the sector. Sufficient to move pricing? Perhaps on a regional and loss-hit basis. A major hurricane Maria loss could also result in some companies suffering outsized impacts, if they hold a particularly high market share in Puerto Rico and the Caribbean. It will be interesting to see how the pre-announcements of losses from major reinsurers start to rise following this latest major storm loss. AIR noted that its estimate of losses includes demand surge which amplifies insured losses and which it warns could be particularly high given the fact we’ve seen three major hurricanes in such a short space of time, as well as insured physical damage to onshore property (residential, commercial, and industrial) and autos from wind and precipitation-induced flood damage; insured loss to property contents; losses from business interruption; losses to industrial facilities; and additional living expenses (ALE) for residential insurance claims. The estimates do not include infrastructure losses; hazardous waste cleanup costs, vandalism, or civil commotion whether directly or indirectly caused by the event; losses to offshore properties, pleasure boats, and marine craft; losses resulting from the compromise of existing defenses (e.g., levees); and losses to uninsured properties.